So the Sheffield Wool and Textiles Craft Fair was this weekend. I went on both days and this is what I came back with. That’s a hank of alpaca (90/10 alpaca/nylon), a hank of Gothic Yarns in Lost Innocence, 100g of Shetland in Humbug and a niddy noddy. Never had a niddy noddy before. Can’t wait to use it! Which is probably why I’ve been on such a spinning kick. Finished off the second singles of the September club shipment from WildCraft today. Will ply it tomorrow. In gardening news, lookie! 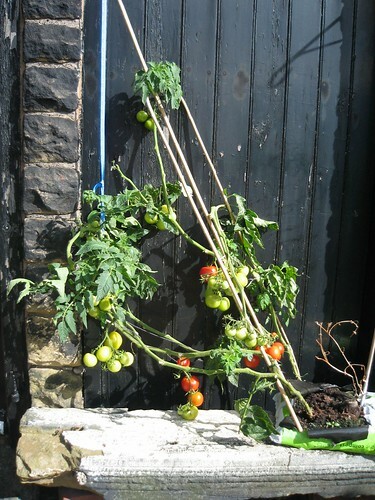 I have red tomatoes! I just keep picking off about two of the reddest a day and eating them right then and there. So yummy. 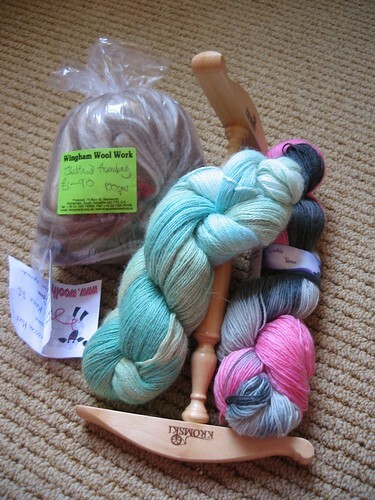 I love Woolhunter yarns, and am working with a couple at the moment. Her colours are exquisite. 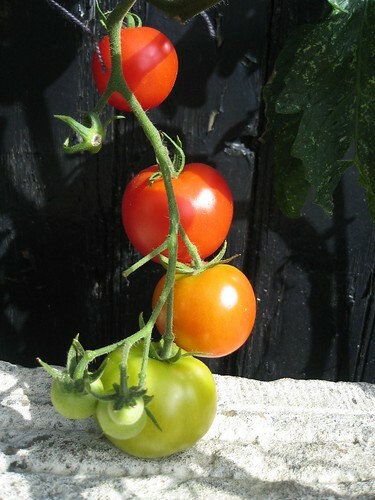 Yay for getting red tomatoes, finally…!